This post is helpful to know how to change default Lync Client Audio/Video ports. 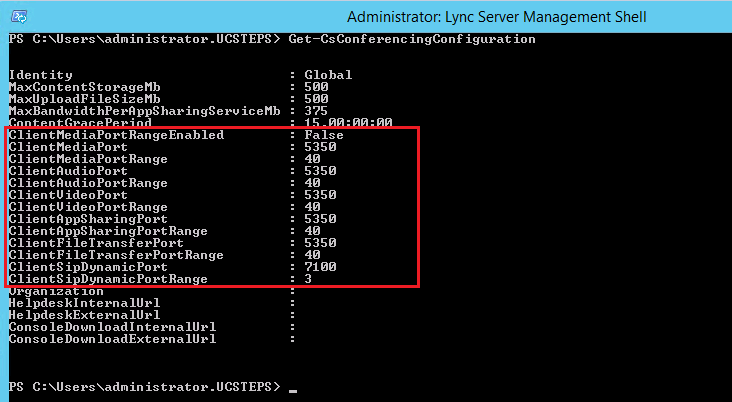 You will use this if you plan deploy vlan voice and/or need change Lync Client ports. With this command, you can also do other changes like the Max Content Storage, Max upload file size, Client App Sharing Port Range among others…. Previous Previous post: Change content filter Office 365 to move mail to junk folder.